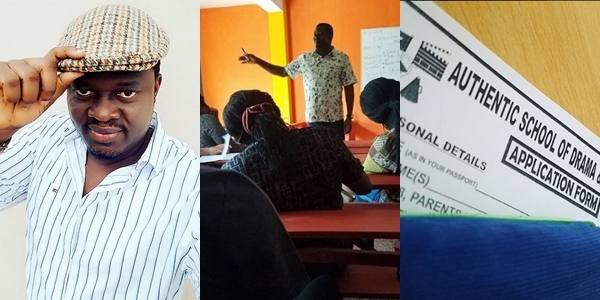 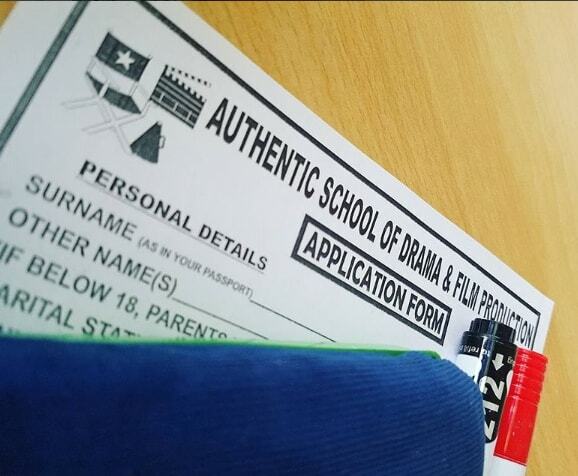 Nollywood actor Muyiwa Ademola is now accepting new students into his drama school in Ibadan. 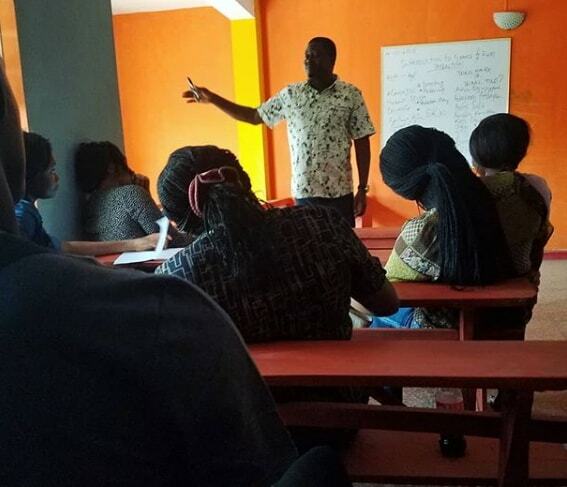 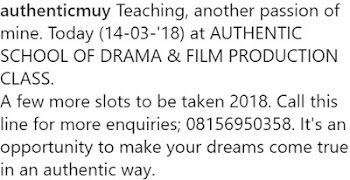 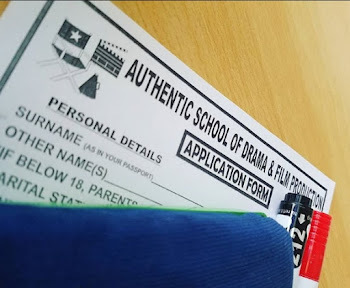 The actor who opened the film school in the capital of Oyo state last year announced on the social media few hours ago that his drama school has few more slots for 2018. 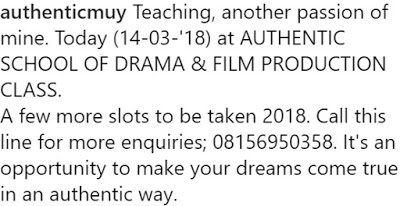 For those interested in learning more about the school and the fee structure, call the actor or his representative at 0815 695 0358.